Finally, a no-waste solution to those gnarly brown ones that creep you out. Congrats, you made it to the end of a long week! How about treating yourself with some self-care to celebrate? We know we personally can’t wait to unwind after a hectic workweek ourselves, particularly after events like New York Fashion Week, which, as most industry insiders know, can compound anyone’s stress levels even further. And instead of shelling out money on partying, shopping or going to the spa to relax and bliss out, we figured we’d do ourselves—and our wallets—a solid and try the good ol’ D.I.Y. home care route with a banana conditioner recipe. Hey, even your locks deserve a sweet treat here and there! 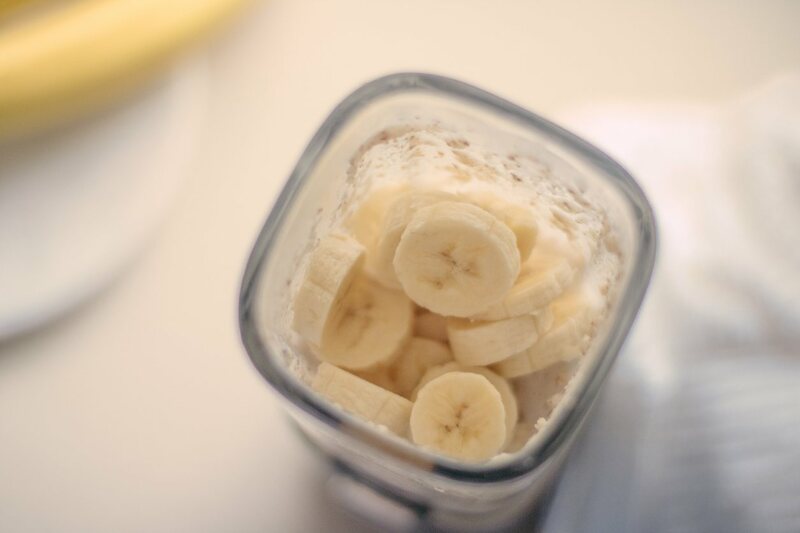 Not only are they rich in vitamins and minerals (potassium being one of the most famous), not to mention being one of our favorite post-gym snacks, bananas are also said to help infuse hair with moisture and promote shine. A banana conditioner can also act as a chemical-free substitute to your regular deep conditioner, in case you were looking to supplement your routine with more natural alternatives. Scroll on and get ready to glam up your Netflix and chill situation, and here’s to Self-Care Saturday and Sunday! Step 1: Mash all ingredients together in a bowl with a fork, or use a blender for the smoothest consistency. Ensure the mixture is free of chunks. Step 2: Add one to two tablespoons of water to the mash, as desired. Step 3: Apply the mask onto hair, focusing on ends and other damaged areas. Leave the root for last. Step 4: Wear a shower cap or cover your head in plastic wrap to help the mask infuse deeper into hair. Step 5: Let the mask sit for 30 minutes. Meditate/read a book/tell someone you appreciate them/sage your apartment/watch one episode of a feel-good show. No bad vibes allowed! Step 6: Rinse with warm to tepid water, and follow up with your regular shampoo. For healthy-looking, damage-free hair, keep up with your regular trims and invest in a wash and care system that moisturizes and hydrates locks without the weigh-down. A thermal protectant that helps shield hair before blow-drying and heat-styling is also essential, and lastly, always make time for a deep conditioning session. An ounce of prevention is worth not having to deal with pesky split ends! Check out this awesome scalp scrub.